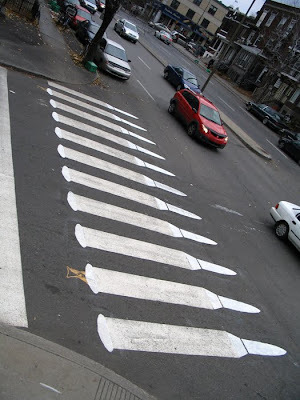 Why do we need to have mundane crosswalks? 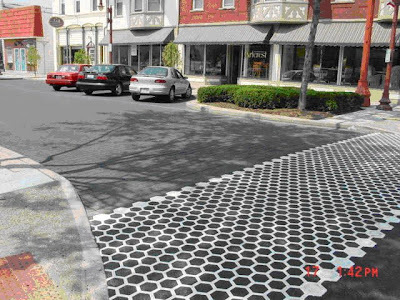 Crosswalks can be transformed into something that actually enhances the beauty and vibrancy of the surroundings. These can be simple yet elegant way to make cities more walkable and pleasant to live or perhaps can be used for advertising and send out the message. 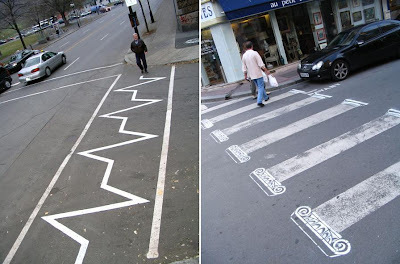 Salzburg School of Music - Piano crosswalk: Crosswalks were repainted in a piano keyboard shape at different locations. Every time the walk sign turned on a piano song starts playing, this simulated the idea that the people who started walking through the crosswalk were the ones playing the song by stepping on the crosswalk. Bubbles Hair Salon Comb Crosswalk: To create a buzz around Bubbles in the neighborhood, during the weekend a comb-shaped zebra crossing (a temporary transparent sticker) was stuck adjacent to the hair salon. 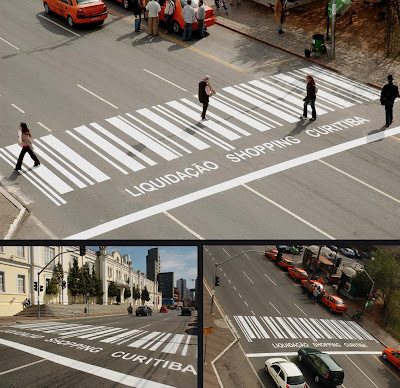 Shopping Curitiba Crosswalk: To promote a sale at Curitiba shopping center in Brazil, this creative zebra crossing that looks like a barcode was used. 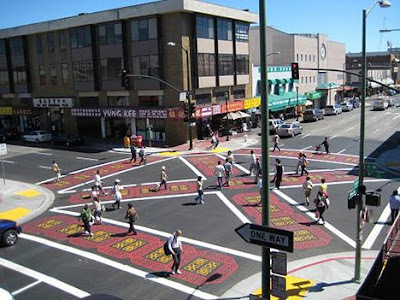 Diagonal Crosswalks, L.A.: It makes crossing easier for pedestrians by letting them to get across an intersection diagonally and they don't need to walk twice, and is more safer as there are no cars trying to turn while they are crossing. 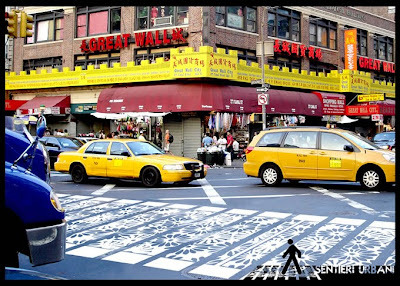 Sentieri Urbani Crosswalks: Adriano design is the brand name used by Italian brothers D Adriano and G Adriano to promote their industrial projects and products design. 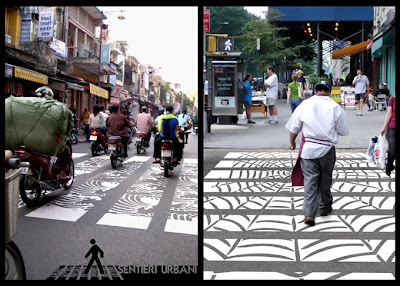 Sentieri Urbani is a project by these two architect brothers that aims to reinvent zebra crossings. 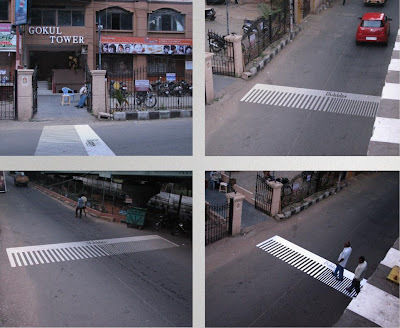 Their goal is to make each zebra crossing individually recognizable without losing their function while fully respecting the existing regulatory requirements. 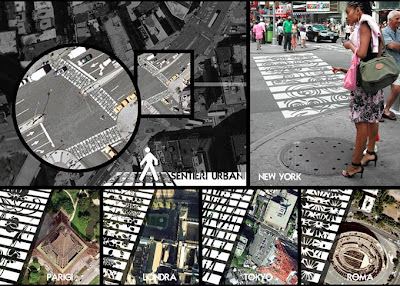 Which would allow pedestrians to "read more information and learn the place they're visiting". 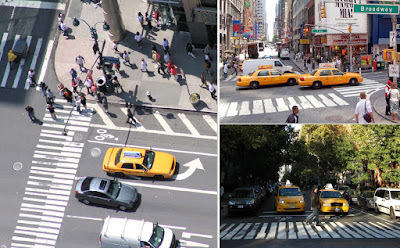 Crosswalks are designed in such a way that the motorist does not perceive any difference, as they would be driving faster than walking speed and they just see a traditional crossing. MTN Company Crosswalk: MTN Company, an integrated communication agency used the zebra crossing in order to draw attention to the "Settimane dell'Architettura e del Design", an international appointment between designers and architects. 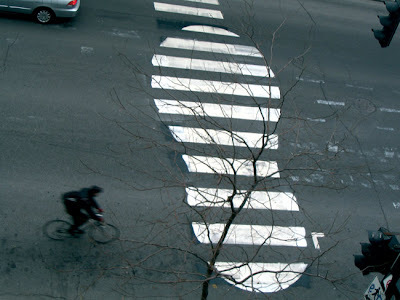 It was the first time that the pedestrian crossing was used as a means of promotion in Italy. 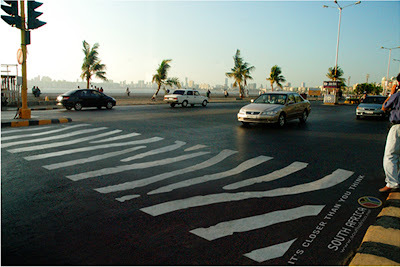 South Africa Tourism Crosswalk: The zebra crossing signs around traffic lights in Mumbai were painted to look like the stripes of a real zebra. A clever marketing for South Africa Tourism. 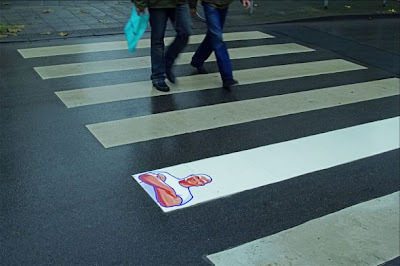 Mr. Clean Crosswalk: Clever marketing for Mr. Clean cleaning supplies in Germany. 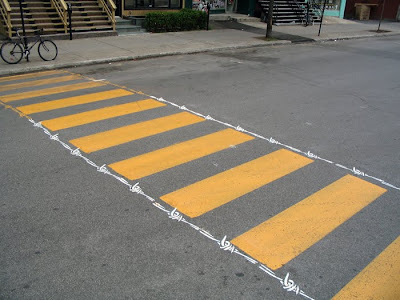 The product's effectiveness displayed by showing one line of a crosswalk brighter and cleaner than the rest. 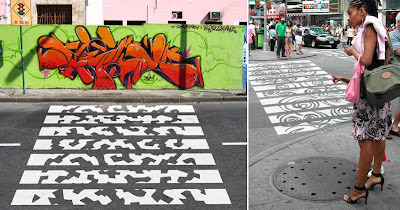 Crosswalks by Roadsworth: These are created by P Gibson. 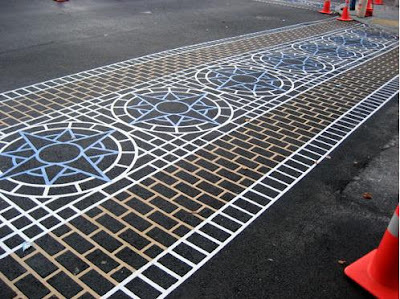 P Gibson, (aka Roadsworth), an internationally renowned street artist who began painting the streets of Montreal in 2001 and began to play with the language of the streets, overlaying city asphalt markings with his own images. In his statement, P Gibson says: "Given the possibility of moving between work, the gym and home again without ever setting foot outside, it's not surprising that many people are out of touch with their surroundings. Under such conditions, space is merely transitional, ……"